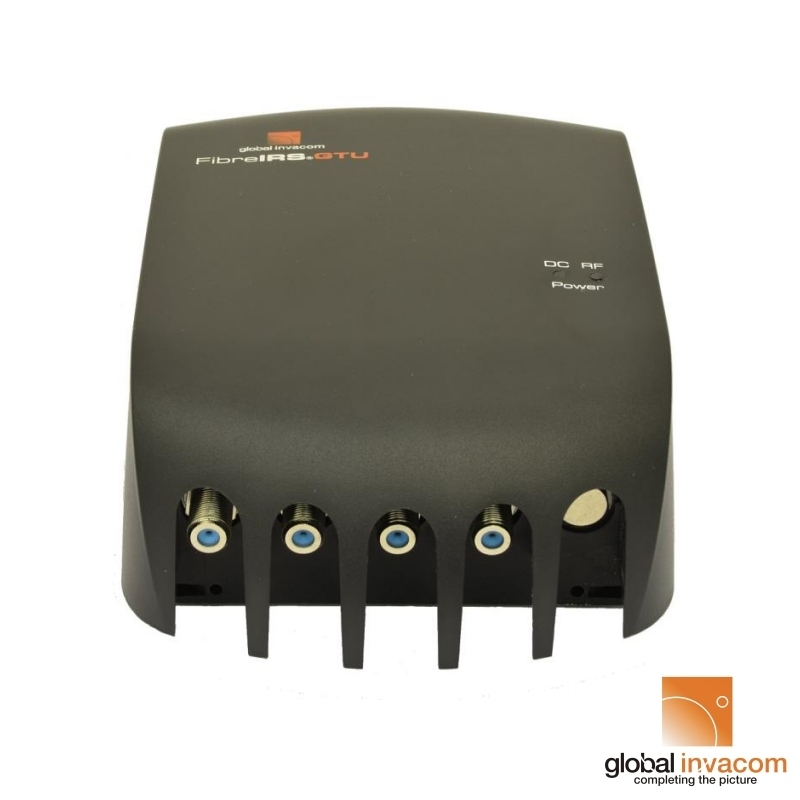 The NEW Quatro FibreIRS (Integrated Reception System) Gateway Termination Unit (GTU) has been designed to convert the optically received signals from a fibre passive optical network (PON) to 4 fixed satellite coax outputs and one DTT/DAB coax output. Replicating a Quattro LNB the GTU is designed to allow the user to feed a new, or existing, multiswitch system. The FibreIRS GTU converts optical power to RF power (FM,DAB,DTT and 4 satellite polarities). The FIbreIRS GTU has built in AGC which allows a wide dynamic range of optical powers without affecting output power and quality. Two LED indicators allow the user to observe the status of the unit. Two versions available — Quad for use directly with a receiver/faceplate. 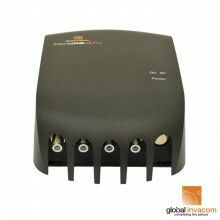 Quatro for use with a multiswitch as it has dedicated outputs for each of the satellite polarities and terrestrial. Both versions can be powered via the satellite outputs and used with either the optical LNB or the ODU32. Click the button below to add the GI FibreIRS GTU Quatro MKII to your wish list.